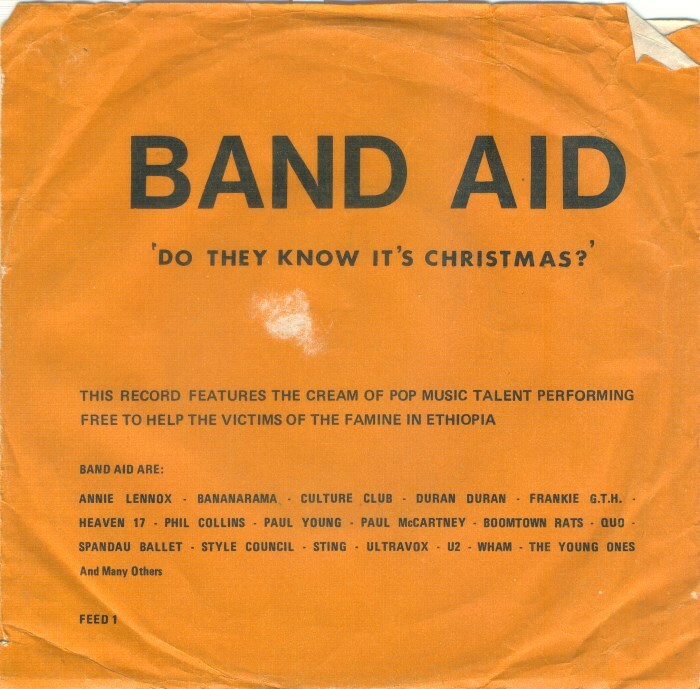 This Monday November 17, Band Aid 30 will release the charity single “Do They Know it’s Christmas”. The proceeds will go towards helping the Ebola crisis in West Africa, whereas the original raised money for the support of famine in Ethiopia. Artists involved this time include Bono, One Direction, Chris Martin, Sam Smith, Ed Sheeran and Rita Ora. This is actually the fourth time the song has been recorded, with the most recent version released a decade ago. What has changed since the original in 1984? Lyric-wise quite a lot. 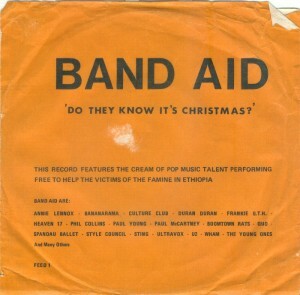 Although the original song written by Midge Ure and Bob Geldof was an impassioned call for help, it also carried Geldof’s wry tone that jarred many people at the time. People had pointed out that there are both snow and rivers in Africa, which I thought was a bit literal of a reading. The song was really intended for the drought in Ethiopia, after all. The “feed the world” chorus now also has one reference to “Heal the world”.